Members of the Interact Club from QE have been awarded the 2018 Best Interact Project Trophy for their wonderful ‘Community Christmas’ project. The group spent much of the festive season helping local organisations and charitable causes in order to make it the most inclusive Christmas possible, including sending over 1000 Christmas cards to children with life limiting conditions through Postal Pals and raising £300 for local homeless charity, 700 Club, by spending a night sleeping outdoors. They participated in the delivery of leaflets to promote a Christmas tree collection scheme in aid of St. Teresa’s Hospice, and bought and wrapped gifts to give to residents of care homes and Darlington’s women’s refuge. In addition, the students worked with local foodbanks by sorting, packing and distributing parcels before volunteering with Age UK and serving over 110 Christmas meals to older members of the community. 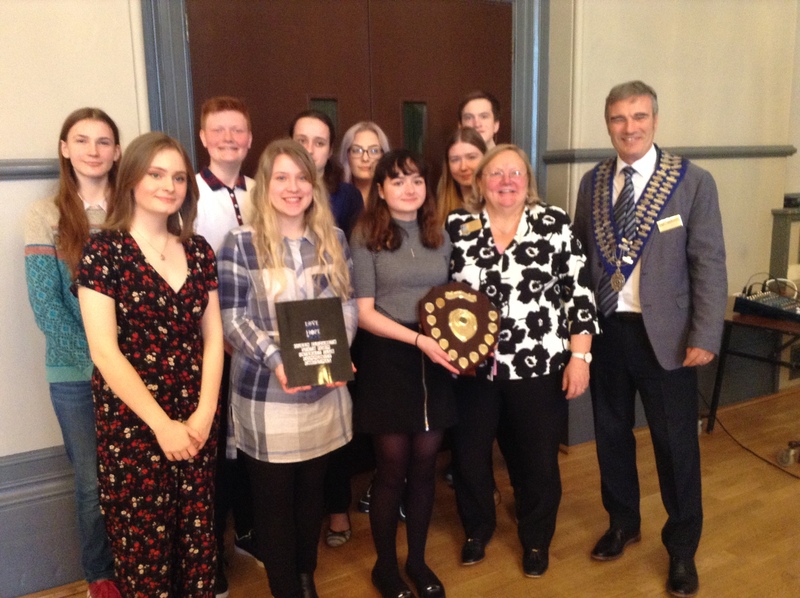 Presenting their project as both a photo book and write up, judges from the Rotary in Britain and Ireland (RIBI) were thoroughly impressed with the work carried out by the students and deemed the College’s club the winners with RIBI President, Debbie Hodge, handing over the trophy. Nancy Wall, Interact Club Co-ordinator, who nominated the group, explains: ‘This project has had a significant impact on the lives of many people within our local community and also on the Interact Club members, who have continued to support a number of the organisations since Christmas. The project has been incredibly rewarding and I am extremely proud of all of the students. They thoroughly deserve this award’.